Royer Live Series mics – R-121L and R-122 MKllL (formerly R-122L) were introduced in 2008, making ribbon mics available to FOH engineers for the first time. As a group they won the 2008 TEC Award for Microphone Technology/Sound Reinforcement, and they’re showing up in performance venues around the world. Royer Live Series mics utilize thicker ribbon elements – carefully chosen for increased durability and minimal sonic variation from their studio brethren. The thicker ribbons have a slightly slower transient response, resulting in softer highs. Live Series mics are identified by their red logos (studio models have green logos). Live models can be converted to Studio models any time – we simply re-ribbon the mic to studio spec and replace the red logo with a green logo. Like any high-end microphone, Royer Live Series mics need to be handled carefully during set-up and break-down. Proper handling and storage in a dedicated microphone container will assure years of reliable service. The R-121 Live is a ruggedized version of our popular R-121 ribbon microphone. The studio R-121 is tough and has been used on live performances for years, but the increased durability of the R-121 Live gives FOH engineers greater confidence in the ribbon standing up to life on the road. The R-122 Live is a road-optimized version of our phantom powered R-122 MKII ribbon microphone. The R-122 MKII Live’s output is on par with phantom powered condenser mics, allowing long cable runs with minimal signal loss or RF pickup, and it produces the warm, natural sounds that only ribbon mics can deliver. 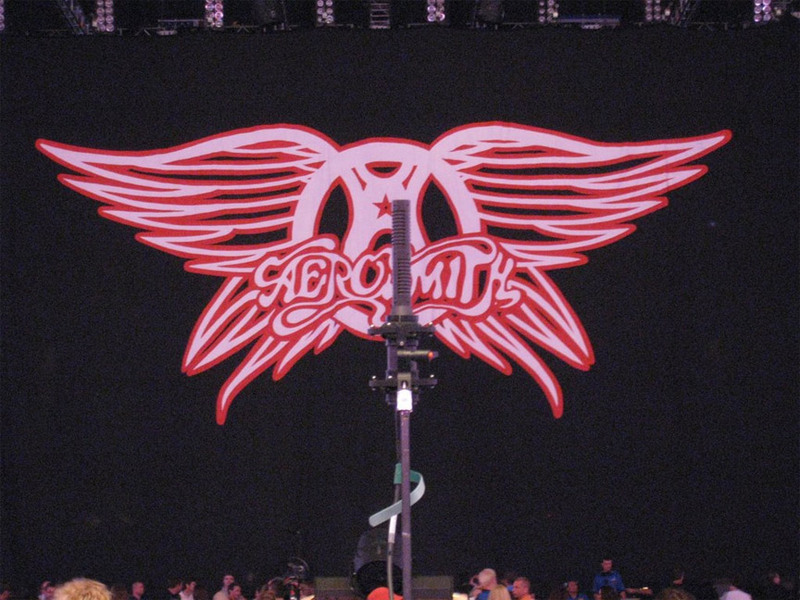 While Aerosmith was rehearsing the Just Push Play tour in 2001, they were looking for a way to replicate their studio guitar sounds (recorded with their new R-121’s) and control on-stage microphone bleed. An engineer suggested trying R-121’s – they were studio ribbons but they were tough, the figure-8 patterns would control the bleed, and Joe Perry already liked the sound. It was the first time Royers had been tried live (that we know of). The rehearsal tests went great and Aerosmith ended up taking six R-121’s on the road for the tour (five for cabinets and one for standby). 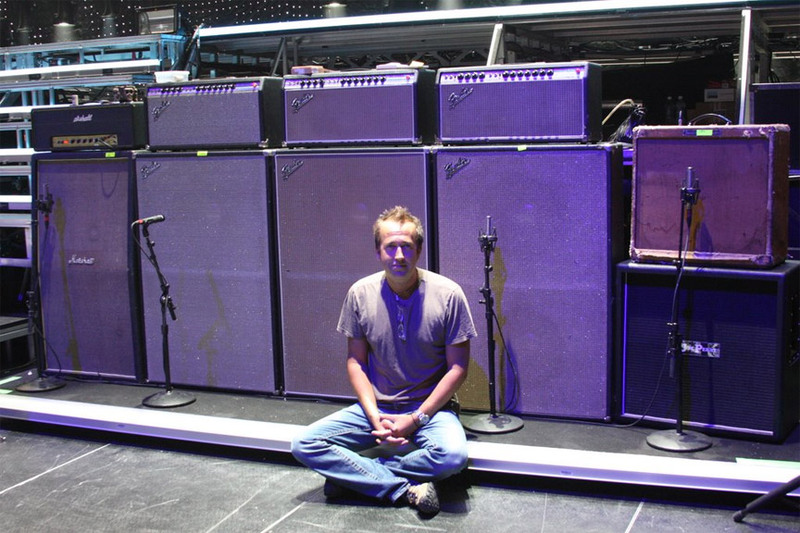 Those six R-121’s stayed on Joe’s and Brad’s live guitar cabinets until 2009, when FOH engineer Jim Ebdon replaced them with R-121 Live Series mics. They had only stretched one R-121 ribbon in eight years, but Jim opted for the extra durability.